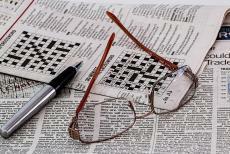 Are you reading this article with one of your numerous pairs of reading glasses on? If so, here's some good news for you. A high-tech pair of eyeglasses is now in the works that could potentially eliminate the need for both reading and driving glasses. Designed for people suffering from presbyopia, also called age-related farsightedness, these tech savvy glasses are now the prototype phase. Researchers at the University of Utah used both infrared technology and electronic lenses to help automatically zoom in and focus on whatever you want to look at. The hope is that these high-tech glasses could destroy the need for prescriptive lenses. One of the main features of these prototype eyeglasses is the use of glycerine. Glycerine, which is translucent and thick, works to make the lenses easily adjustable. One frame of these eyeglasses contains all of the electronics, including a battery and an infrared distance meter, inside it. The glasses will need to be recharged just as you would a smartphone. Professors involved in this project claim that their distance meter can shift focus within only 14 milliseconds. The meter gauge can instantly tell the distance and send a wireless signal to the mechanical actuator in the electronics frame. Changing frames is incredibly easy as well. All you need is a smartphone with access to Bluetooth. After downloading the official app, you can enter in different prescriptions for different eyeglasses. One of the leading researchers on this project, Carlos Mastrangelo, told reporters that this one pair of glasses could serve the needs of thousands of reading glasses. Of course, these new lenses are only in prototype form right now, and many who saw them at the 2017 Consumer Electronics Show (CES) weren't impressed with their design. The glasses showcased at CES 2017 were bulky and had a silver sheen. Researchers told reporters they're hoping to miniaturize the technology within these frames and make them more stylish in the future. This year, researchers only wanted to showcase their technological achievements and start to build a name for themselves in the high-tech eyeglass community. Besides the University of Utah, other big name companies have been trying to create new technologies for presbyopia patients. For example, the Israel-based company Deep Optics has announced that it's working on auto-focusing crystal lenses. Also, tech giant Google is apparently working with the startup company Novartis to make auto-focus contact lenses. Age-related farsightedness generally affects people between the ages of 40-50. This disease occurs when eye lenses wear out and can't focus on objects close by. The condition is extremely common, with about 3 million Americans being diagnosed each year. Symptoms include eyestrain or blurred vision while reading. The only real solution for this disease is to wear contact lenses or eyeglasses. Surgery is only used in rare cases. Anyone interested in purchasing these glasses will have to wait at least three years. That's how long the team at University of Utah feels they need to design sleek frames for commercial sale. The research team has created an official startup company to speed up the development process.